It was with both sadness and shock when we heard that former player Terry Back lost his life recently following a motorcycle accident. 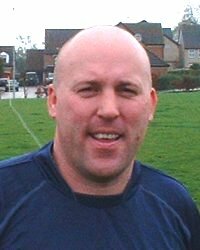 Terry, a defensive midfielder, made his debut for the club in February 2004 for the First Team against Codicote in the County League under the management of Richard Daly. He was also a member of the Kev White's Veteran's squad, captaining the side on a number of occasions and even enjoyed a spell as striker for the team. Terry left the club after the 2005/06 season (during which time he scored 3 goals for the Vets), but we will always remember his enthusiasm for the game, his quick wit and the smiles he always brought to our faces. Even though Terry was part of our club for only a couple of seasons, those that knew him will never forget him; he was a real character. Our sincrere condolences go out to his family and friends.